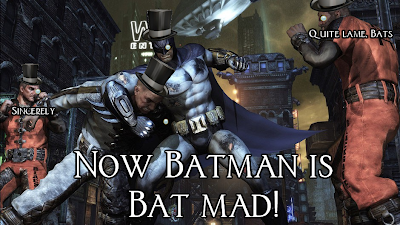 Just when gamers were sure no worthwhile Batman games would ever come, Rocksteady swooped in like the Dark Knight himself and delivered the masterpiece that is Batman: Arkham Asylum unto a woefully unnourished community. 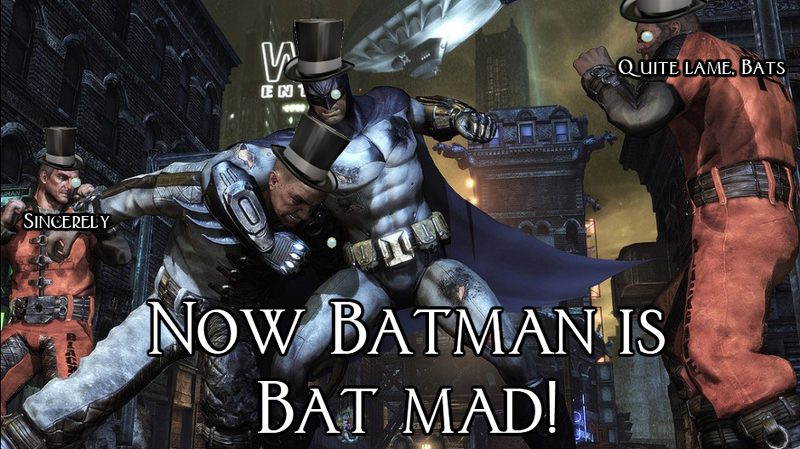 Two years later, Batman: Arkham City has been released and expectations are understandably high. Can the sequel possibly rival the original, or was Arkham Asylum a diamond in the rough? About one year after the Joker’s defeat in Arkham Asylum, a division of Gotham has been sectioned off to house not only the mental patients of the Asylum, but also the criminals of Blackgate Prison. Bruce Wayne finds himself a political prisoner inside the new corrections facility after publically denouncing it. One call to Alfred and a costume change later and the Dark Knight is on the case. From the moment Batman appears on screen, everything from Arkham Asylum comes back, though with some obvious improvements. The first thing you will notice about Arkham City is its colossal size. Gone are the days of running through tunnels to reach other sections of the game as Arkham City is one free-flowing area. 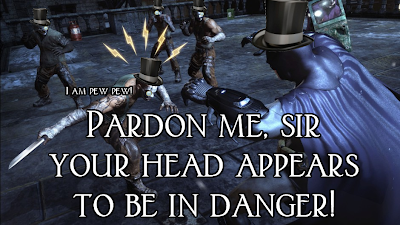 If you so choose, Batman can swing from one corner of the map to the other without ever having to touch the ground, just gliding and using the Batclaw. Going from Arkham Asylum to Arkham City is like emerging from a hallway into a theater, an odd claustrophobic feeling you were not even quite aware of is suddenly lifted. The combat is nearly identical to that of its predecessor. Essentially, you press the attack button as fast as your thumbs will allow until an enemy has lighting around his head, then you press the counter button. Every battle with a mob of people follows this template, with the exception of knife wielders, those with body armor, and ruffians carrying shields. It can certainly get repetitive, but most of the missions space out combat in such a way that sneakiness is highly encouraged and all-out brawls are rare. The stealth portions of missions are identical to that of Arkham City, though new tools such as the freeze grenades and disruptors certainly make it more interesting. 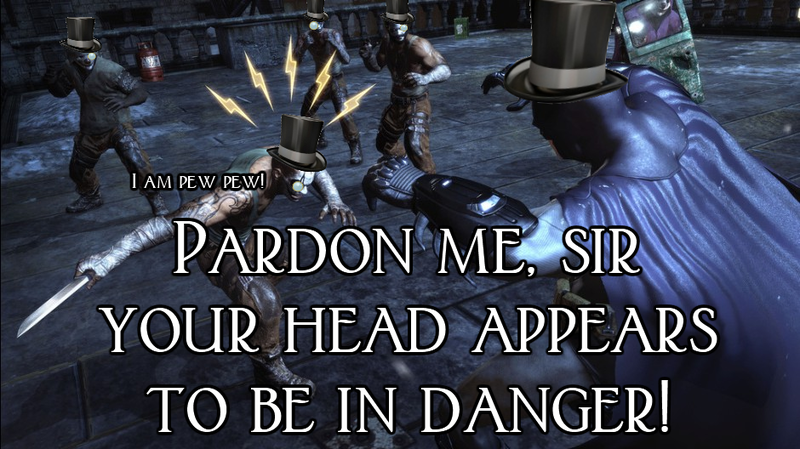 Come to think of it, the same can be said for most of Arkham City; it’s Arkham Asylum with some upgrades. One of the most significant updates is to the characters and subplots. I shan’t ruin what villains make an appearance, but their numbers are nearly too great and each actually has a story to tell. One could get easily lose in the side-quests involving one specific villain and deter entirely from the main storyline. This feature is both a strength and a weakness of the game as the player rarely feels an urgent need to continue the main quest line, not unlike Grand Theft Auto 4 or Fallout: New Vegas. However, this is not to say the main plot is not exquisite, because it is. Kevin Conroy’s Batman and Mark Hamill’s Joker seem made for one another and hearing the two interact with one another is a treat. The story takes odd turns here and there, but finishes with one of the most dramatic scenes in Batman history, in my opinion. The DLC is the only complaint I have about the game thus far. 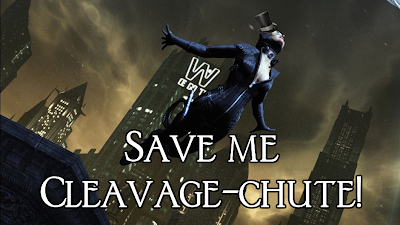 Upon purchase of a new game, you are provided with a code to download Catwoman as a playable character. This fact means that gamers who purchase the game used will have to also buy a Catwoman code in order to play her parts of the story. Locking off parts of the story to those who choose to buy the game used is a rather dirty tactic. I understand that game makers do not profit from used game sales, but doing about getting more money this way makes you seem slimy, Rocksteady. Gobs more DLC is available including playing with Robin and Nightwing and downloading new skins for Batman if you did not preorder it. Total, that makes over ten pieces of downloadable content for this game, some of which were available on day one. I know downloading them is optional and that they do not impact gameplay, but having that much meaningless DLC rubs me the wrong way and makes me think Rocksteady has gotten greedy. Verdict: If you liked Batman: Arkham Asylum, you will be pleased as punch with Arkham City. Its additions only help the game along and the larger environment opens a realm of possibilities for the Dark Knight. 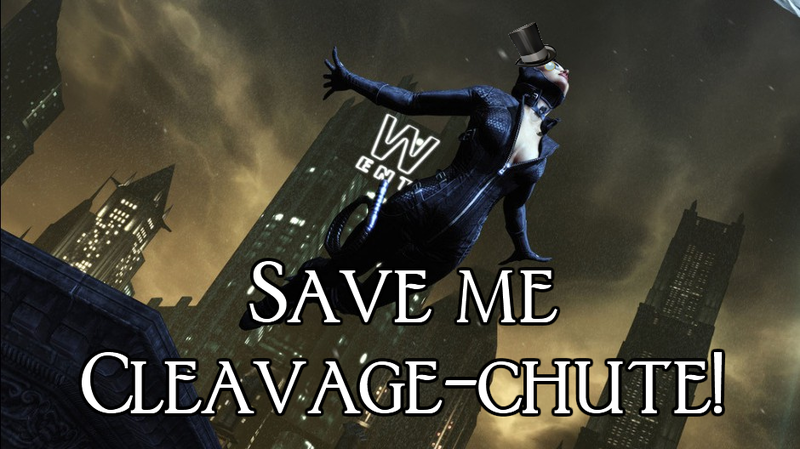 Even if Arkham Asylum passed you by, give Arkham City a go. Its engaging story, quick combat, and challenging levels make for an enjoyable experience, even if you know nothing of Batman.